Re: Why Bring Pepper Plants Indoors for Winter? I thought I'd share my OW experiment. It was highly successful. 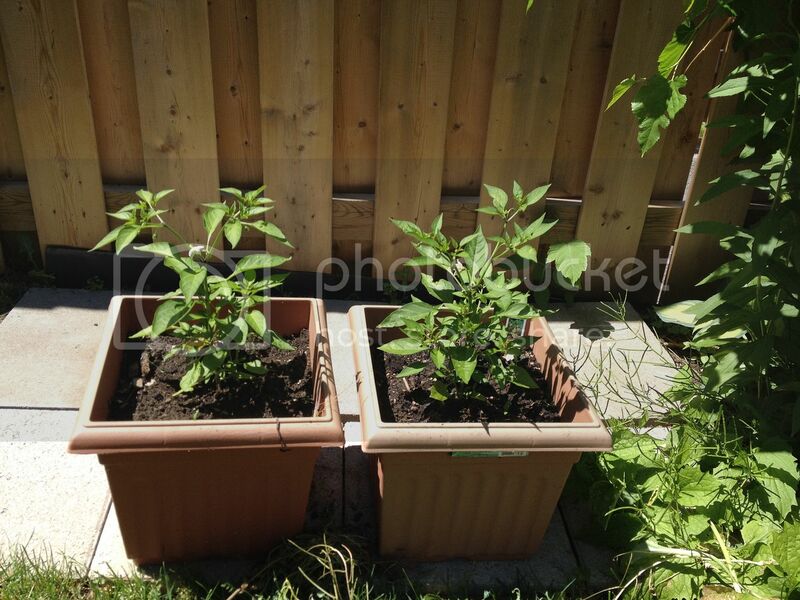 Here are the two original plants, purchased as transplants around my average last frost date in May. This picture was taken June 14, 2014. 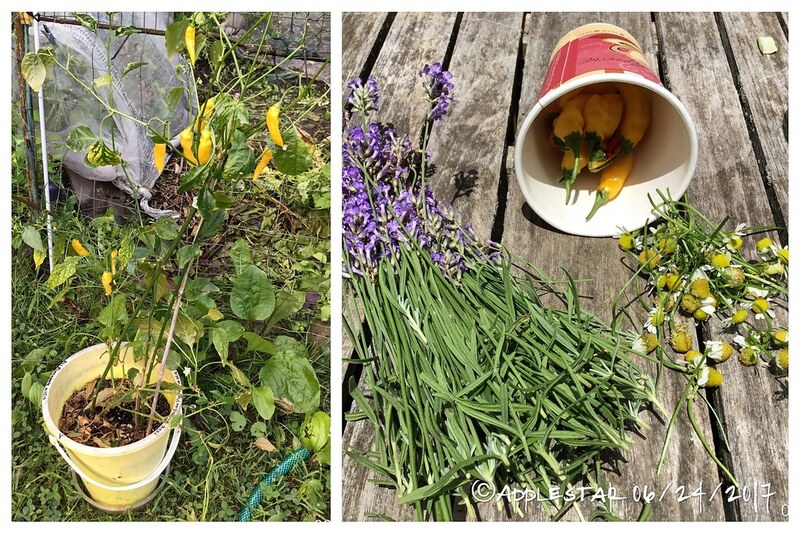 I got quite a few peppers from them, and toward my first frost date, I pruned them back, let them settle down outside for a while, started bringing them in at night, then let them go almost-dormant for the winter. They got a light watering once a week. In spring, I hardened them off again. That's a huge head start. Time is tight in Canada. I ended up with about 3 cereal bowls of hot peppers, and now they're flowering again! I'll definitely do it again this year, though I hear the second year is the best. It's too cold and there's not enough light for them to produce over the winter, but it's nice to have some (barely) living house plants. A pepper plant will last several seasons. It is possible in fact that they will be even better the next time around. Many years ago I use to save my plants by covering them with glass, old windows, old storm doors, sliding patio doors, cement blocks, bricks. 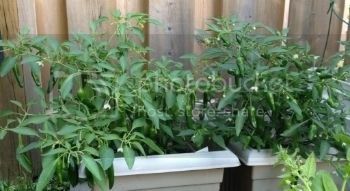 For several years i used cement blocks on the east, north, west, side of tomato and pepper plants then covered the south side and top with a sliding patio door or storm door. This protected my plants from frost for a month and several freezes down to 28 degrees. The soil holds enough heat to keep the inside warm enough not to freeze for a while. I also experimented with putting a 100 watt light bulb inside the mini green house box to keep it warm after dark. We had ripe garden tomatoes for Christmas dinner many times. That was back in the days when I was young and full of energy, I can not physically do that anymore. It would be easier and work better to build a 3 side wooden box to move in place around plants then cover 2 sides with glass. Wood is a better insulator than cement blocks. That probably depends on the price of plants where you live. A 4 pack tray of plants is $1.47 here in TN. I would not hesitate to pull them up and replace them. When I lived in AZ plants only camp in singles $5 per plant. I would probably try to same my plants rather than replace them. We were in northern MI last week near Canada a 6 pack of plants is $5 there. Rather than run the risk of getting a late start I would probably replace my plants. Here's an overwintered Ali Pineapple. It overcame a mite infestation, bloomed and set all these fruits in spring. I brought it out of the house, harvested the fruits and pruned the plant so I can acclimate it. Actually these 10 pods are less than what it had before since I've been picking them as needed. I will either uppot it or find a place for it in a garden bed. It should start blooming and setting fruits right away.